At least four of the domes have made it to Alamosa. 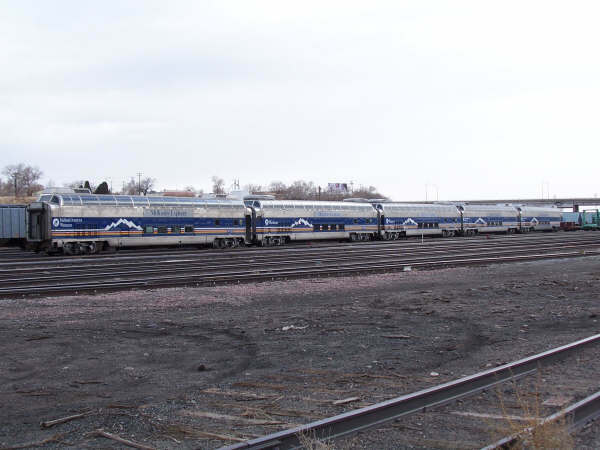 On a somewhat roundabout trip home from Trinidad today (Sunday, 30-Dec-2007), I found RPCX 509, 510, 511, and 551 in the Alamosa yard. 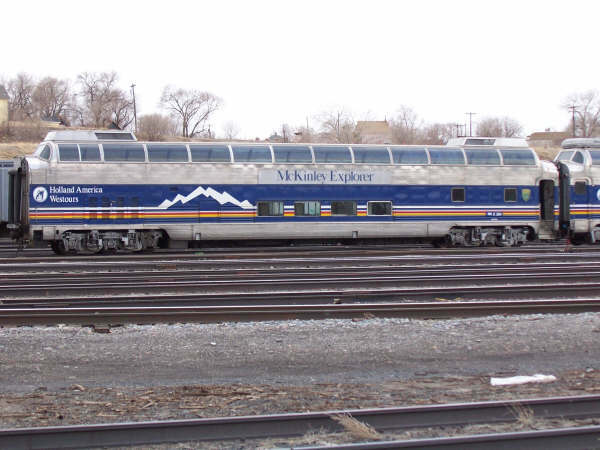 Don Gilchrist found the fifth dome - RPCX 554 - at the Walsenburg, CO, interchange yesterday. It wasn't there today, so either it's up on the pass somewhere, or buried in the East Alamosa yard. I've posted a few pictures of the cars on the SL&RG [here]. Don also sent a few photos of 554 that I'll be adding soon. 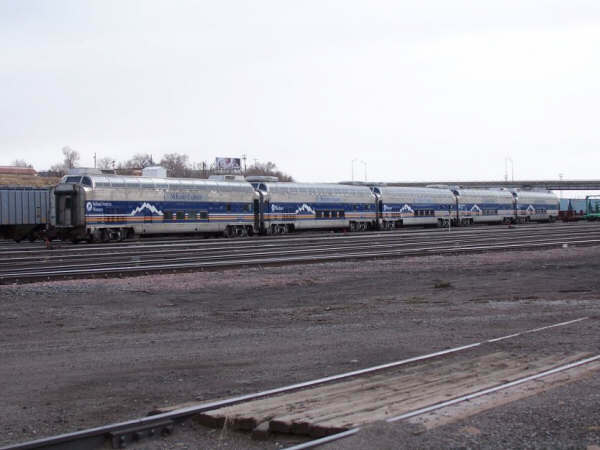 John Rose, Jr., from Pueblo sent me a few photos of the new SL&RG (ex-HALX) domes passing through the Pueblo yard over Christmas. I've posted them here: #1, #2, #3, #4, #5. Sometime early this morning (Tuesday, 11-Dec-2007), a southbound Union Pacific coal load derailed about twenty two TILX cars near milepost 11 (Littleton, CO) on the Joint Line. What happened next is still somewhat unclear, but an RTD light rail train on the adjacent tracks was also derailed. Reports differ on whether the derailment was caused all of the spilled coal covering the RTD line, or by impact with a derailed coal car. 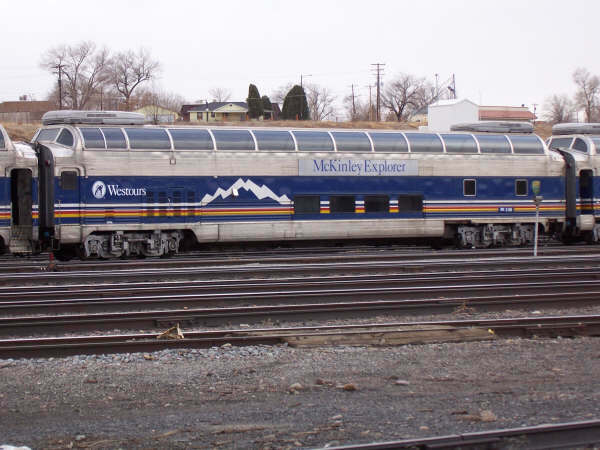 Fortunately the RTD operator noticed the derailment starting, and was able to slow the RTD car enough that the twenty-eight passengers onboard sustained only minor injuries. The light rail catenary was damaged when the derailing light rail vehicle took out one of the poles, so RTD is indicating that line south of the Oxford station will be closed for "an undetermined amount of time". It's that time of year again - time for the Christmas-themed trains to start running. Actually I'm a little late on this - both the Rio Grande Scenic Railroad and the Cumbres & Toltec started running their holiday trains last weekend, and the Durango & Silverton has been running theirs since before Thanksgiving. 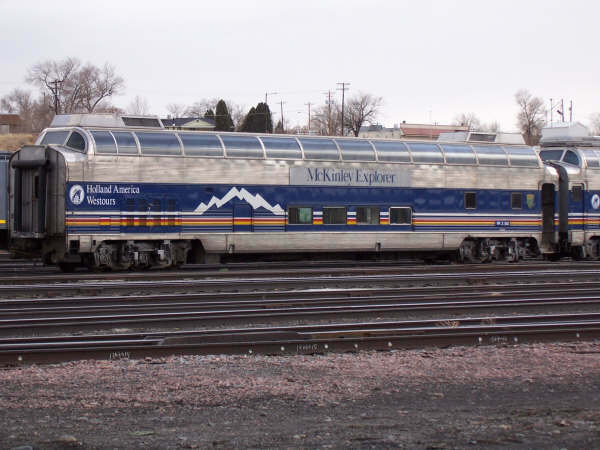 So, here's a summary of some of the special trains running around Colorado in the upcoming weeks. Even before moving out to Colorado, I had a fascination with the Uintah Railway. Here was nearly 70 miles of remote narrow gauge railway, built long after the narrow gauge boom was over, in order to haul a single commodity - gilsonite / uintaite. Running through an area that can only be described as a middle of nowhere, the route had some of the most challenging track ever constructed - 5 miles of 7.5% grade, another 7 of 5%, and a pair of 66 degree curves (that's a radius of 87 feet!). Yet the Uintah rostered two of the largest narrow gauge steam engines ever constructed - a pair of massive 2-6-6-2T Baldwin articulateds, specifically engineered for the line.